Join us at one of the largest Open House Events of the year! 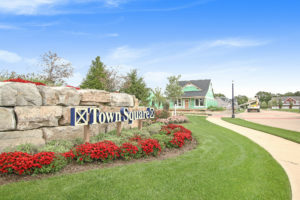 Town Square features a diverse range of finished homes that we're opening for personal tours. In each home, you can find refreshments and information on Town Square and that home plan. Visit all the open homes and be entered to win a gift card! Invite your friends out to this amazing Rockford community! We look forward to seeing you there. We believe that the start of summer is worth celebrating! Come out to our Town Square Summer Kickoff event and enjoy FREE food, drinks and activities! The event will be held at our Town Square Park & Gazebo. More information to come! Experience Lowing Woods' newest phase featuring Townhomes! This exciting addition to Lowing Woods will provide new home options at a great investment range. So come out and tour these beautiful homes! Refreshments will be provided. The event address is: 8917 Barrington Lane #33, Jenison, MI 49428. For community directions, please see the map below.